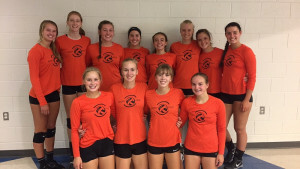 The Kingsley Stags varsity volleyball team won the first tournament of the year in Allendale, Michigan this weekend. 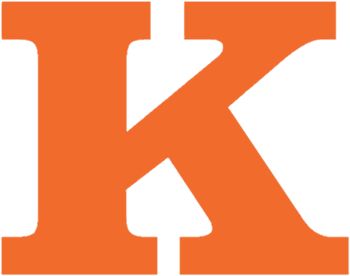 Kingsley defeated Allegan HS 25-14, 25-21, Holland HS 25-17, 25-20, Grant HS 25-13, 25-19 in pool play. The Stags went on to defeat Holland Christian in the semifinals 25-14, 25-21. Finally, Kingsley beat Grant in the finals 26-24, 25-20 to finish 5-0 on the day. Jessica Lefler had 27 kills, 11 blocks, and 25 digs. Maddy Alger had 90 assists, 22 digs. Bekah Crosby had 12 kills and 8 blocks while Brittany Bowman had 24 kills and 36 digs. Lacy Benton had 24 digs and 4 aces while Austin DeWeese had 17 kills and 11 blocks.